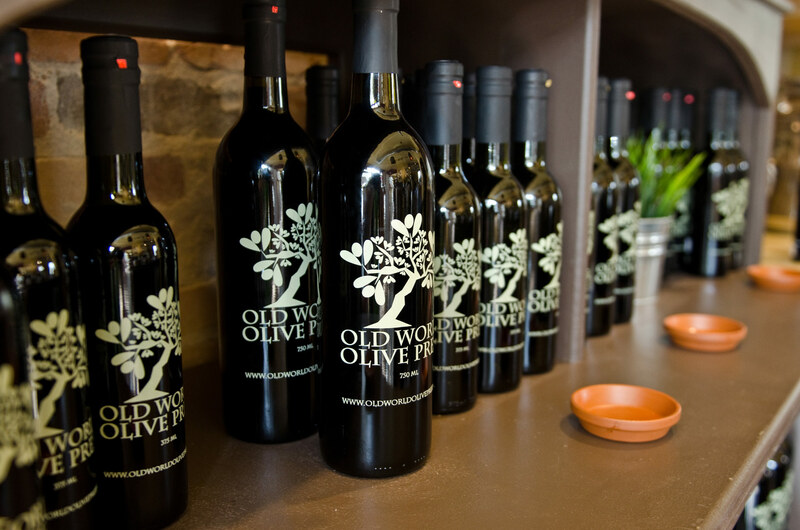 How to cook with Olive Oil | The Old World Olive Co. Wondering how to cook with Olive Oil? Olive oil helps carry the flavor of foods and spices, provides a pleasing mouthfeel, and satisfies the appetite. It’s very versatile and with its unique flavor and aroma is a kitchen staple. Different olive oils complement different foods and flavors. Olive oil can be used for sautéing, browning, roasting, stir-frying, and as an ingredient in marinades and sauces as well as dressings and the always popular bread dipping condiment. Liberal use of it will enhance both savory and sweet dishes without guilt because of its wonderful health-boosting properties (although if you’re trying to lose weight, you may not want to overdo it, because like all fats, it provides roughly 120 calories per tablespoon). Strong and robust extra virgin olive oils can be used for cooking meat and fish, for marinades and vinaigrettes, or to drizzle on as a bold finishing flavor. A medium intensity, well-rounded extra virgin olive oil is great on mozzarella or for bread dipping. It’s also great in vinaigrettes or tossed with steamed vegetables or drizzled on baked potatoes. A mild extra virgin olive oil could be used in baking or to make sauces like romesco or aiolis. Virgin and extra-virgin oils are best used uncooked or cooked at low to medium temperatures. An oil’s smoke point is the temperature at which it smokes when heated. Any oil is ruined at its smoke point and no longer provides its full health benefits.. If you heat an oil to its smoke point, carefully discard it and start over. Olive oil has a higher smoke point than most other oils (about 400 degrees Fahrenheit). If you are looking for a higher smoke point, refined oils are the choice for high-heat uses, such as frying. See our FAQs for answers to questions about how long olive oil lasts and what the best way to preserve it is, as well as the health benefits of extra virgin olive oil.